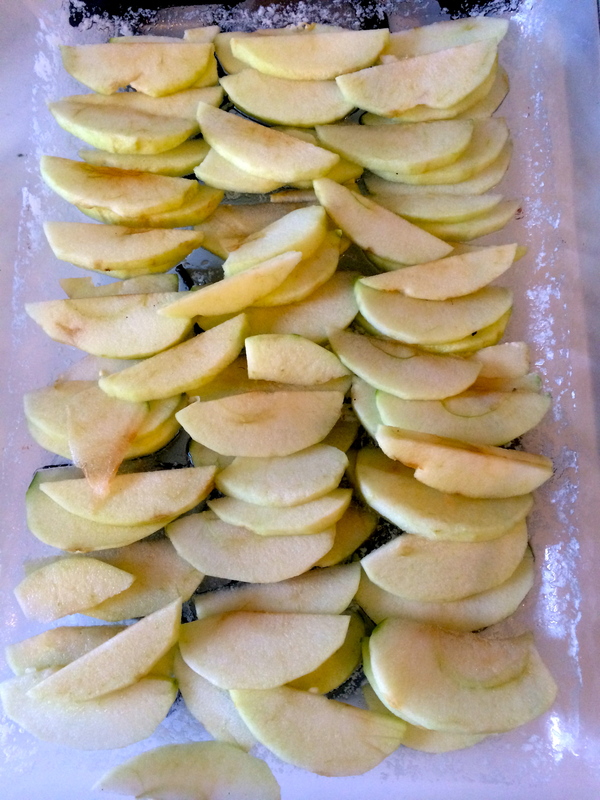 For Easter brunch, our friend Therese brought over this recipe and it was a delight. Not only is it surprisingly easy, but the texture is so perfect. 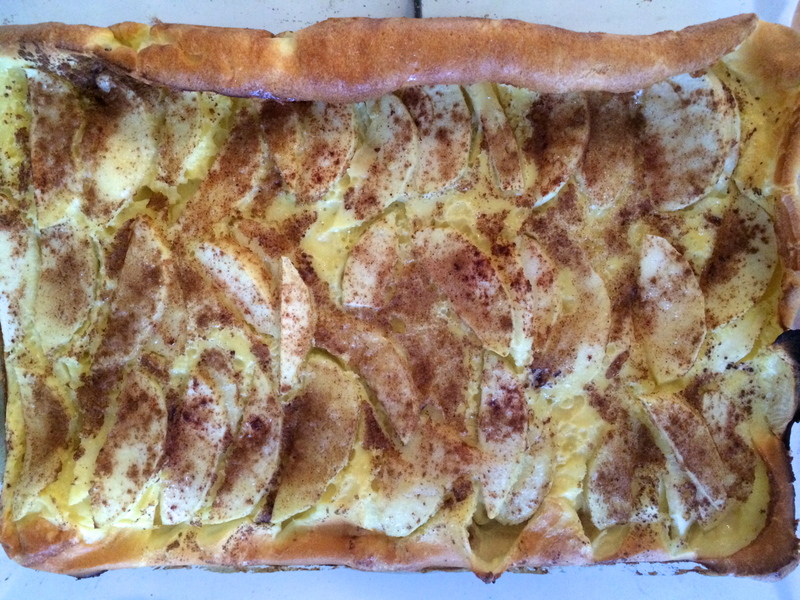 The batter that you pour over the apples is really thin, so it rises almost like a popover. And while she added sugar and cinnamon, we both agreed that this could be made savory with crumbly sausage or pancetta. I can’t wait to bring this to the next potluck/brunch! Preheat your oven to 400 F. Put the butter in the bottom of a rectangular glass pan and let it melt in the oven for 2-3 minutes. 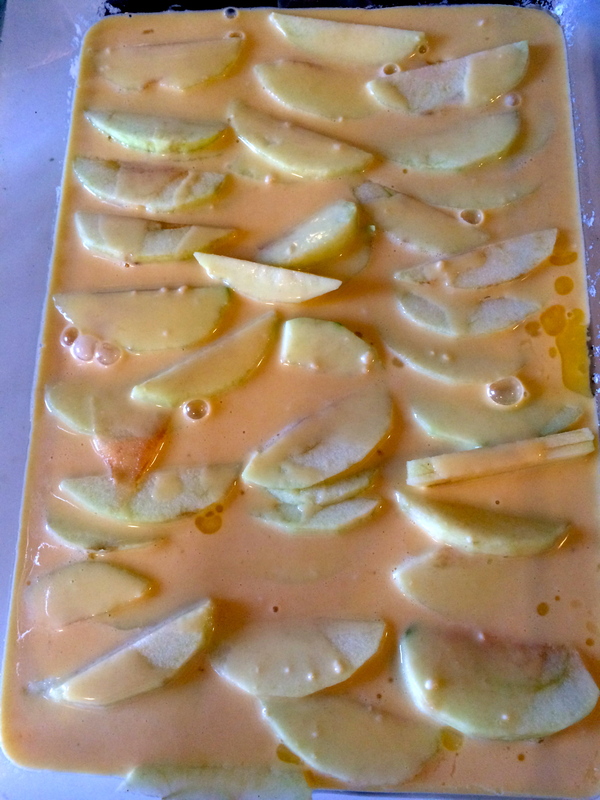 Slice the apples thinly, then layer them over the butter in the pan. In a bowl, whisk together eggs, flour, milk and salt. Pour this mixture over the apples. Mix together sugar and cinnamon, then sprinkle over the apple mixture. Bake uncovered for ~20 minutes until the crust is golden and risen.